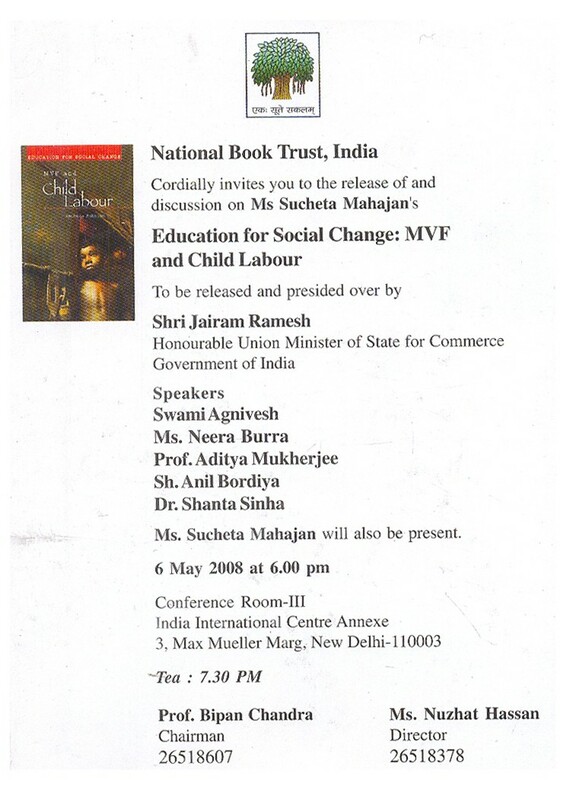 National Book Trust, India coridally invites all interested to the book release ceremony of Professor Sucheta Mahajan’s book:“Education for Social Change: MVF and Child Labour”. The book will be released by Shri Jairam Ramesh, Honourable Union Minister of State for Commerce, Govt. of India who will also preside the discussion that will follow. Professor Sucheta Mahajan is a Professor of History at the Centre for Historical Studies, School of Social Sciences, Jawaharlal Nehru University. NextProtest against GMOs: Saving the brinjal that we know!